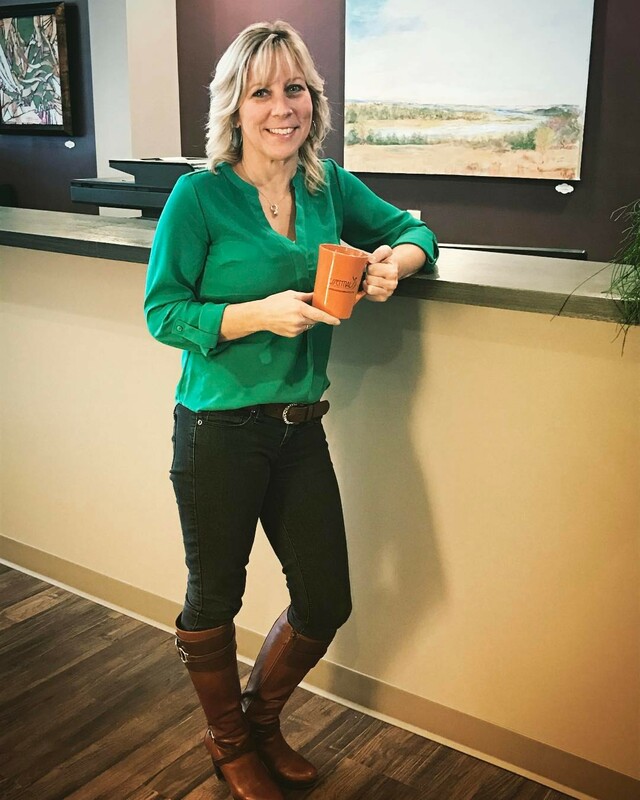 Dawn's interest in massage therapy began when she started getting care for chronic neck and shoulder pain, which was a result of being thrown out of a car during a car accident that she was in when she was 8 years old. Dawn saw how chiropractic adjustments and massage therapy create a perfect marriage since they became a necessity in managing her pain and maintaining mobility in her neck. It is for that reason that Dawn went back to school to get her massage therapy license with a goal to workn in a chiropractic office. 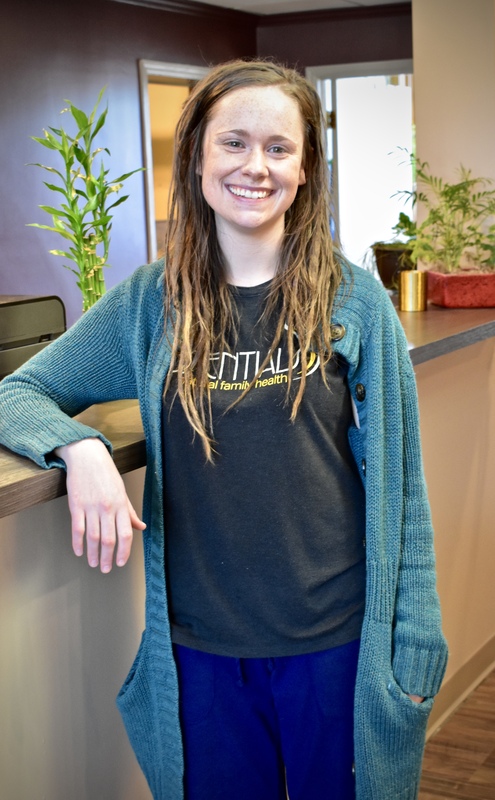 She graduated on the President's List at Omaha School of Massage and Healthcare of Herzing University and has been blessed to work at Esentials ever since. Dawn's schooling and on-going education of essential oils here at Essentials have increased her interest and desire to live a more natural and organic life. That is not to say that she is 100% natural, organic, and free of all impurities and negativities. She is, however, consciously aware and continuously aiming to be more natural. When Dawn is not working, she is enjoying time with her family, reading a book, or doing something creative. She wishes to be a world traveler, but resolves to practice massage therapy until that happens. She looks forward to utilizing her knowledge and skills to effectively deliver therapeutic massage so that you can experience relief from pain, get increased mobility, and have a healthier functioning body. Catherine Davis (Cat) was born and raised in Omaha. She attended the Omaha School of Massage Therapy graduating in 2009. Upon graduating, she had the opportunity to work with her mentor at Omaha's Om Center before being luckky enough to cross paths with Dr. Kate Hansen at Essentials. Cat had a traditional medical background before attending school, but also had a deep curiosity for Eastern medical practices, making her work at Essentials a perfect fit. That curiosity has led her to learn some of the Eastern healing techniques such as Gua Sha and cupping. She is also certified in other massage modalities which include hot stone massage, traditional Swedish, deep tissue, lymphatic drainage massage, reflexology, and fertility massage which is highly complemented by the fertility acupuncture care that Dr. Kate Hansen practices. Cat is also certified in Nurturing the Mother pregnancy massage and Reiki II. Cat is passionate about helping others and assisting them in feeling their best. On the personal side, she loves cooking and being outdoors. Sherri graduated from the Ancient Wisdom College of Healing Arts in Council Bluffs, IA in 2004. She is a member of Associated Bodywork and Massage Professionals, has a certification in pregnancy massage since 2008, and is Coordinator of the Omaha Massage Forums. We are priviledged to have Sherri working part-time as a Licensed Massage Therapist at Essentials. Working full-time at a large insurance company, Sherri seems to be drawn towards the medical profession. She has plans to learn more and obtain a certification in oncology and mastectomy massage. Sherri is married, has two grown children and 3 dogs. She enjoys camping, being outside, time with friends and family, as well as learning new techniques to help towards health and wellness in her patients lives. Catie Yuhas was born in Chenneye Wyoming, but moved to Great Falls Montana shortly after she was born. She moved to Omaha Nebraska in the summer of 2002. Catie fell in love with Omaha so decided to stay after completing high school. She attended Capitol School of Hairstyling. After graduating she decided to continue her education and enrolled in Omaha School of Massage and Healthcare. It was in her schooling there that she found her true passion through massage. Catie loves doing a mixture of modalities in her massage. She enjoys doing deep tissue, reflexology, Thai, Swedish, sideline, and the use of essentials oils to enhance each massage. Catie notes the issues of the client she sees and customizes her massage to fulfill their needs and maximize the benefit of their massage. She loves to hear when people come back to her that they are feeling much better. Massage has so many benefits and Catie loves that she gets to help people see those benefits. In Catie's free time you may see her running around Omaha. She has done many half and full marathons. Her new running goal is becoming an ultra runner. She has completed one 60k and has plans to one day do a 50miler. When she is not running she loves to spend time outdoors with her dog Tommy or on a plane traveling. It is another one of her goals to explore world. Headaches are one of the biggest issues that people suffer through. Clients, co-workers, and family continually come to Conrad complaining of headaches. In the past, he too struggled with headaches. He became dedicated to finding a root cause and more natural way to deal with the debilitating effects headaches can bring. While going through chiropractic care and massage therapy, a light bulb went on; he had found an answer to his cause. Developing a focused care plan was the most important and effective direction in his path to recovery and prevention. Conrad was inspired to help others, so he began the process to obtain his massage therapist license and graduated from the Omaha School of Massage and Healthcare in April of 2015. His passions in massage lie more on the therapeutic side utilizing deep tissue massage and trigger point therapy. He hopes to become efficient in nerve mobilization in the near future. After work you might catch Conrad at the local rock climbing gym, mountain biking, or hiking the trails of Fontenelle with his family. Mary is from Aurora, Nebraska where she raised her son and daughter. In the summer of 2012, she moved to Omaha to attend the Omaha School of Massage & Healthcare. She graduated the following year with honors as a Licensed Massage Therapist. 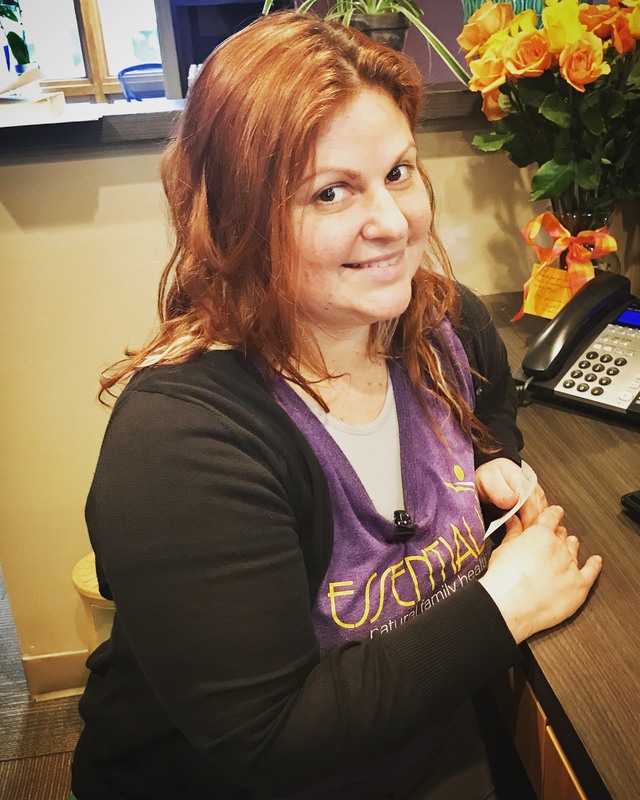 Mary joined the office staff at Essentials Natural Family Health in November of 2014 where she primarily works the front desk and also part-time as a Licensed Massage Therapist. Mary believes that a natural and preventative approach is the best way in maintaining a healthy body and mind. She spends much of her free time working out, reading nutrition and exercise articles, and spending time with family and friends. Working at Essentials has provided Mary a place to work with others who share her passion in living healthier lives and in sharing that with the patients of Essentials. Lisa Widdowson has been a massage therapist since 2010. She was trained by Eric Stephenson, Dr. Pam Popper & Dr. David Bole, nationally known educators in the fields of massage therapy, nutrition, and acupuncture. She is certified in various modalities, most recently certified to do Lymph Massage for Detox. Her modality of choice is Contrast Therapy, which uses warm stones and cool marble to warm up the tissue and then rid it of inflammation. Other techniques employed include Acupressure, AromaTouch® Technique, The Magic of Hot Stone, Myofascial Release (Deep Tissue), Pre-Natal (Pregnancy), Reflexology, and Warm Bamboo. 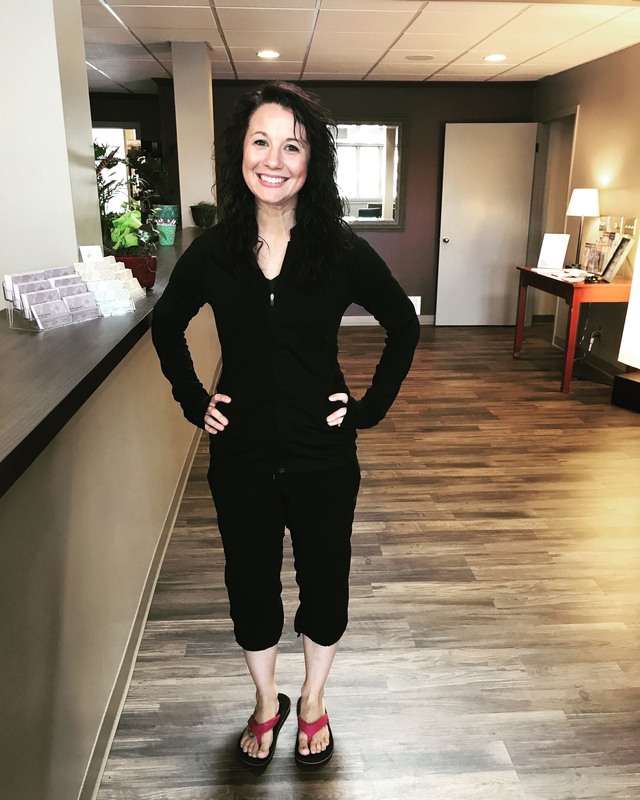 Lisa is also a member of the Nebraska chapter of the American Massage Therapy Association and earned her Bachelor's Degree in Business Leadership from Grace University. Lisa lives with her family in LaVista, NE. She offers a unique blend of massage modalities, heat therapies and essential oils to help her clients get what they want: More Energy and Less Stress. Truly, giving all the glory to our Creator, she believes that massage benefits the body, mind and spirit! Kahleigh was born and raised here in Omaha, NE. She took an interest in nutrition and health during her pregnancy with her son. During that time and then post-partum, she enjoyed reading and watching documentaries about healthy living. The more she learned, the more she wanted to learn. She took a special interest in yoga and increasing her flexibility. While searching for yoga classes on the internet, she happened upon an advertisement for Omaha School of Massage and Healthcare. She went in for a tour and ended up enrolling that day. On her last day, she met Dawn Kindley and Catie Yuhas during a mock interview and was immediately interested in working with them at Essentials. Kahleigh graduated with honors in the spring of 2017 and began her career at Essentials. In her massages, Kahleigh enjoys using a mixture of modalities depending on which will be most beneficial for her client. She incorporates Swedish, Thai, Deep Tissue, Hydrotherapy, passive stretching, and also loves pregnancy massages. She enjoys giving both therapeutic as well as relaxation massages. At home, Kahleigh’s son likes to pretend that he is a chiropractor while she is a massage therapist. Passing down her knowledge and passion for a healthy lifestyle to her son has been very rewarding. Healthcare is not just her job, it’s her life. Karen graduated from the Omaha School of Massage Therapy in 1995. She has spent her entire career working in chiropractic offices. She joined Dr. Hansen and the Essentials Natural Family Health family in December 2016. It was Dr. Hansen's vision of mind, body, and spirit care in one facility that drew Karen to join the Essentials team. Karen specializes in Deep Tissue, Prenatal, Cupping, and Swedish Massage. You can also find her at the front desk assisting patients. "People ask if I still enjoy what I do after 24 years, and my answer is always yes! It is so rewarding to see how one improves during a session not only in body, but in spirit as well. I have always been driven to help others to the best of my ability. I feel that I can achieve this ever day through massage therapy." Karen was born and raised in Omaha and is the youngest of eleven children. She has been with her high school sweetheart, Anthony, for 27 years and married for 18 years. In her spare time she enjoys vacationing at the beach, Husker football, tailgating, and spending time with family and friends. Marni’s interest in massage therapy began after she received a massage for a muscle injury. Surprised with how much relief she felt Marni became intrigued with massage therapy and felt called to explore this new interest. She enrolled in a massage therapy program while living in Chicago and began her educational training at the Cortiva Institute Chicago School of Massage Therapy. After graduating from the Cortiva Institute, Marni passed the national certification exam and has been practicing massage therapy since 2006. Marni is certified in Prenatal Massage and loves working with expecting mothers. As a momma herself she understands how precious the moments for relaxation and respite really are! Her strengths as a therapist include listening and following through with client goals for the session, communicating about and making adjustments of pressure as needed, and planning self-care exercises for clients to use at home. It is always an honor to be trusted with another’s body and Marni strives to bring mindfulness and a grounding presence to each massage. Marni’s journey with Essentials Natural Family Health began long before she envisioned working here. Marni and her husband had been living in Tennessee and came back to Omaha to visit family for a holiday. She was pregnant with her first son and wanted to treat herself to a massage. She asked a friend for a recommendation and her friend told her about Essentials. Marni enjoyed her massage at Essentials and after the holidays went back to living life in Tennessee. A couple weeks later she received a thank you postcard from the team at Essentials with a percent off of her next massage. Though she assumed she wouldn’t use it (for geographic restrictions) the kind gesture made an impression on her. Fast forward to four years and two kids later. Life in Tennessee was beautiful (and much warmer) but Marni and her husband were longing to be closer to family. Amazingly an opportunity within her husband’s industry opened up right here in Omaha. He applied and was hired! After their move Marni was having back pain and she remembered Essentials from her experience years ago. She made an appointment for another massage and after her massage therapist learned that Marni was also a massage therapist she was encouraged to apply and the rest is history. 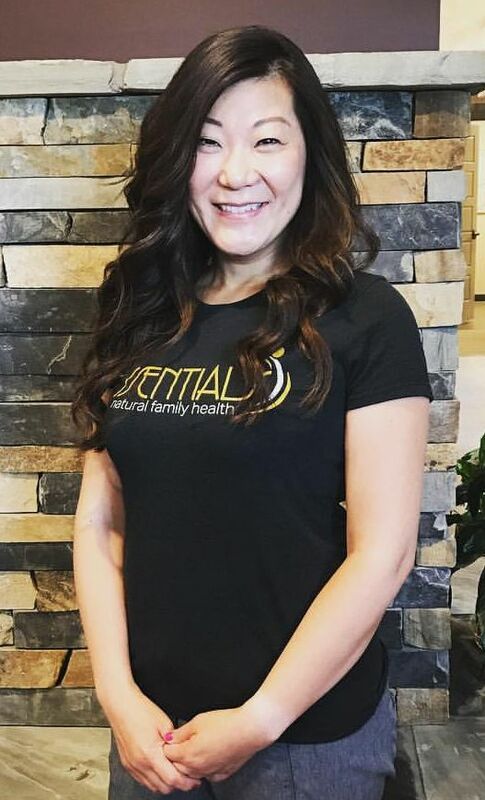 Marni is happy to be working alongside such a talented group in the health centered, family friendly environment that is Essentials Natural Family Health. During the week Marni can be found caring for and chasing after her three young associates (sons). She enjoys taking long walks (to tire them out), reading (children’s books) and finding the humor in the day to day of parenting. She is fortunate to be with her boys during the week and feels fortunate to step away from home on weekends so she can help others with their healing journeys at Essentials.